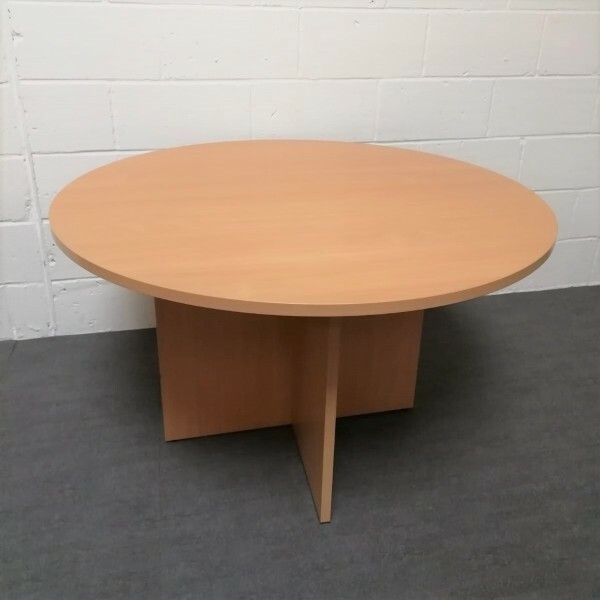 Three Counties are happy to present this circular beech meeting table. 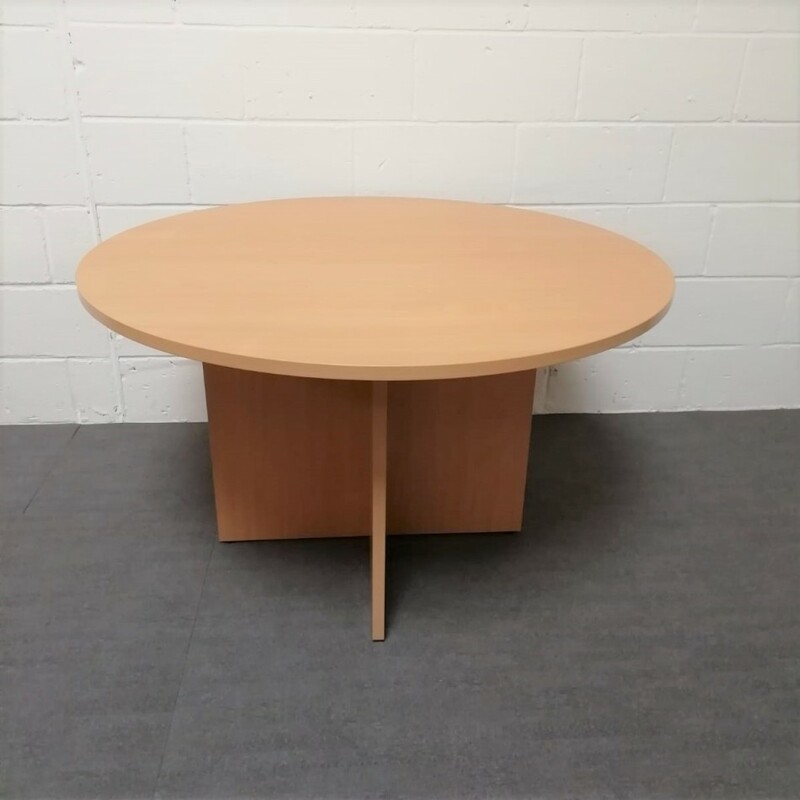 With its decent size and classic beech colour this meeting table will serve its purpose well in any chosen office environment. 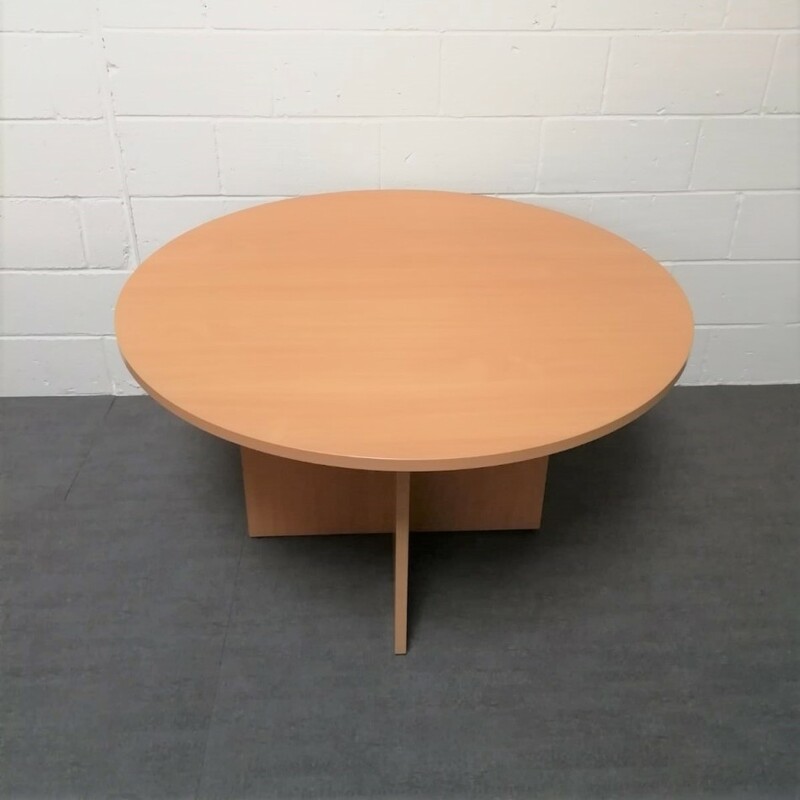 It is in good condition and with its smart cross panel legs brings a modern feel to average sized meeting tables. Call 01202 014669 for more details.